In the Arab world politics, there are a small number of characters that can be called superstars or extraordinary stars. One of these figures is Amr Moussa, former secretary-general of the League of Arab states and the Egyptian foreign minister during the era of former President Hosni Mubarak. His role as an envoy of the Arab League and Egypt apart from other tasks made him a respectable and beloved politician. Therefore, the political and media circles received with great appreciation and attention the news of the publication of the first part of his memoir entitled “Written.” I got one of the first copies of the book and started reading it immediately. I have an old relationship with the man. Together we participated in many conferences, forums and symposia in Prague, Washington, Cairo and Davos. The book supervised by his friend lawyer Khalid Abu Bakr has more than 500 pages with pointers and references given in a clear and professional way. The book covers a remarkable period of life of Amr Moussa — personal and professional — and focuses largely on central positions and major scenes such as the crisis of the occupation of Kuwait by the Iraqi regime, and the consequences of the war to liberate Kuwait. Amr Moussa reviews in his memoirs positions of the leading figures in the Arab world and airs his views about the leadership of Egypt clearly and boldly. Speaking about the role of the coup regime in Qatar, its support for terrorism and its blatant hostility to Saudi Arabia, Egypt, Bahrain and the United Arab Emirates, I recalled a personal stand I had with Amr Moussa at the World Economic Forum in Davos, Switzerland. I attended a lecture by the foreign minister of the Qatar, which confirmed the hostility of the coup regime in Qatar toward the four countries before the events of the Arab Spring. Amr Moussa came to me after Hamad Bin Jassim had finished his speech and asked me, “What did Hamad Bin Jassim say this time?” After my reply, he muttered saying: “Too much, what he wants?” and this happened while Hamad Bin Jassim crossed in front of us and looked toward Amr Moussa in an evil way. The book is a pleasant journey and rich memories for a man known for his “presence” and “charisma”, which generated great popularity in the Arab people, finding a mention in a popular song sung by Shaaban Abdel Rahim. The song caused a great deal of controversy cost Moussa his job as Egyptian foreign minister. The people who were jealous of his growing popularity in the Arab world persuaded President Mubarak to remove him from the ministry in order to cut him down to size. He knew how to deal with the Western mentality, especially the American one, and had a pride in the Arab position. The international diplomatic corps has calculated an account for which it has a lot to play and this appreciation for its position is what kept the man standing after leaving the official positions. He kept himself active and remains present at the local, regional and international levels. The book is a beautiful and enjoyable journey in the memory of a man who imposed his presence and respect for many years, including experiences in India, Egypt, the United Nations and the Arab world, where personal and professional attitudes varied between ups and downs, joy and sadness. Egyptian diplomacy has produced many distinguished personalities and Amr Moussa entered history as one of the most important personalities who have assumed the pyramid of Egyptian diplomacy in an honorable and effective manner. It is not usual for Arab politicians to write their memoirs (which are puzzling and incomprehensible) because their experiences are not personal but they belong to the public and they have the right to know the experience as a way to benefit and transfer experience and knowledge to future generations. The book is prepared in a professional and respectful way and is an enjoyable reading journey in the life of a distinguished man. I recommend reading it and am looking forward to the second part of his biography. On one occasion that brought me together with the man, specifically during the Prague 2000 forum, we were together in the car on our way to the forum room. I asked him: Is it not a time to put your notes? He said to me, “Do you think that there are people who will care and read?” Praise is to Allah. He listened to himself and offered his enjoyable memoirs. Hussein Shobokshi is a businessman and prominent columnist. 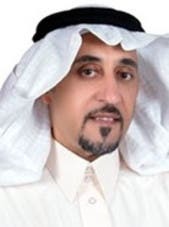 Shobokshi hosts the weekly current affairs program Al Takreer on Al Arabiya, and in 1995, he was chosen as one of the "Global Leaders for Tomorrow" by the World Economic Forum. He received his B.A. in Political Science and Management from the University of Tulsa. His twitter handle is @husseinshoboksh.